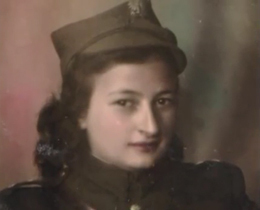 Born December 28th, 1918 in Lokov, Poland, Eta Wrobel was the only child in a family of ten to survive the Holocaust. In her youth, she was a free spirit who defied authority. As Eta puts it "I was born a fighter." Her father, a member of the Polish underground, taught her the importance of helping people, no matter the circumstance. In early 1940, Eta started working as a clerk in an employment agency. 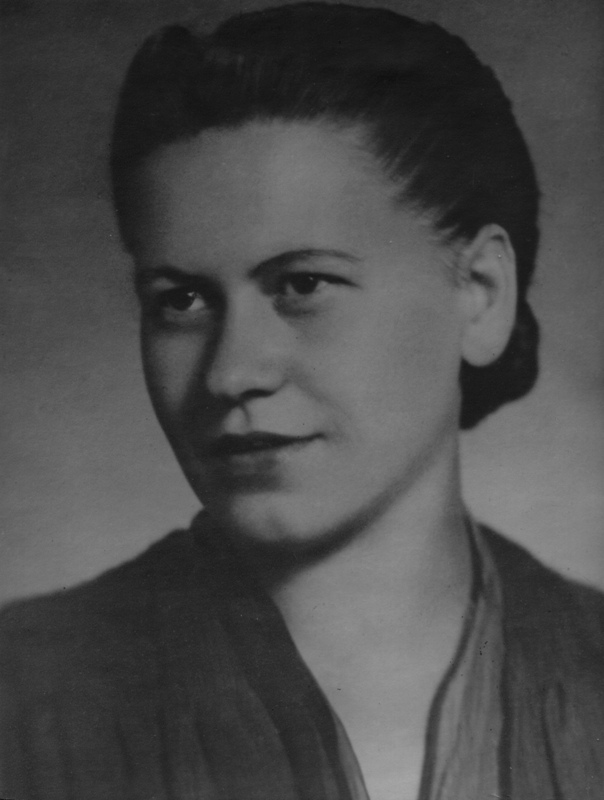 Soon she began resisting the occupation by forging false identity papers for Jews. In October 1942, Eta's ghetto was 'liquidated' and the Jews were forced into concentration camps. During the transition, Eta and her father managed to escape into the woods. Life in the woods around Lokov was extremely treacherous. 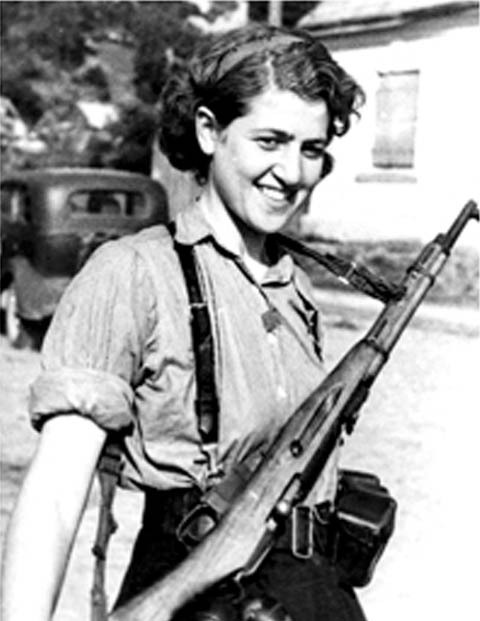 Eta helped organize an all-Jewish partisan unit of close to eighty people. Her unit stole most of their supplies, slept in cramped quarters, and had almost no access to medical attention. At one point she got shot in the leg. The unit's only doctor, too busy to treat another patient, gave Eta a knife, a bottle of "spiritus" -- vodka -- and a brief set of instructions. Eta dug the bullet out of her own leg with the knife, and used a shot of vodka to sterilize the wound. Eta's unit set mines to hinder German movement and to cut off supply routes. Unlike the other seven women in the unit, Eta refused to cook or clean. Her dynamic personality and military skills allowed for this exception. She was active on missions with the men and made important strategic decisions. In 1944, when the Germans left Lokov, Eta came out of hiding and was asked to become mayor of her town. Shortly after, Eta met Henry, her husband to be. They were married on December 20, 1944. In 1947 Eta and Henry moved to the United States. They lived in New Jersey and had three children and nine grandchildren. 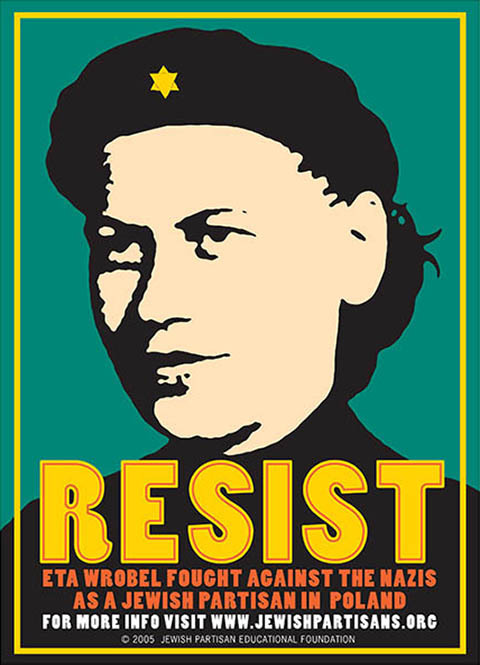 When asked, about her heroic years with the partisans she said simply, "The biggest resistance that we could have done to the Germans was to survive." Eta died on May 26, 2008 in her home in upstate New York.